It's not easy for an average customer to choose a durable flooring. This template is aimed to simplify this task. Slider gallery shows stylish flooring solutions. Content block under it highlights major flooring types. 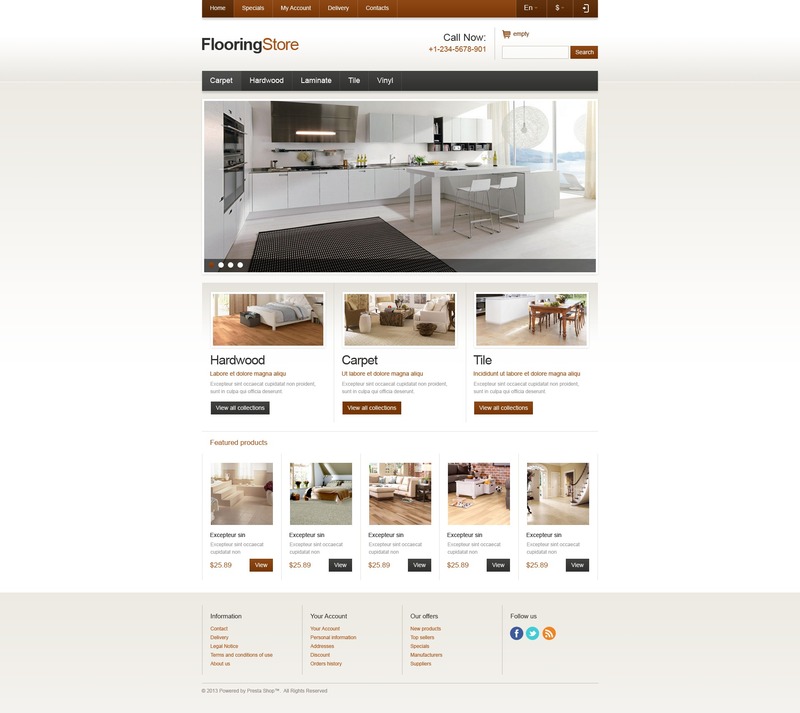 Featured product images display a close flooring view on mouse over. Useful links and social icons are in the footer. The theme supports three languages by default. The template will raise a great interest of interior furniture, software, sport, music, education online stores.